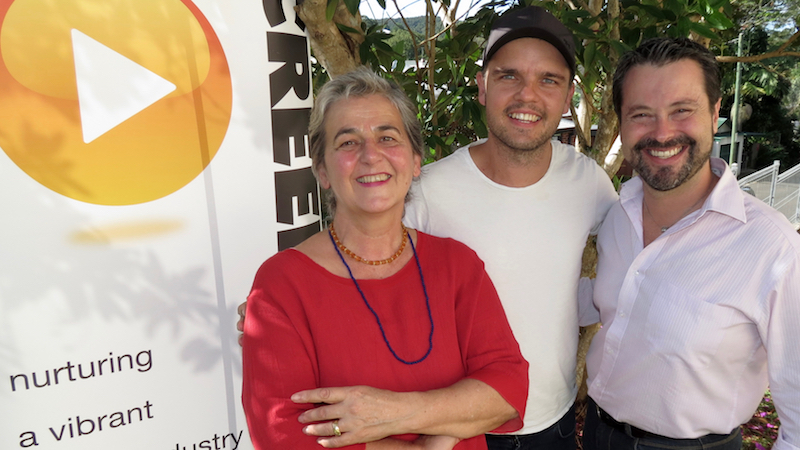 An extraordinary opportunity for Northern NSW based screenwriters has been announced by Screenworks and Byron Writers Festival as part of their Books to Screen initiative aimed at getting more Australian books adapted into film and television. The two organisations are currently seeking applications from skilled screenwriters to work with authors to prepare adaptation proposals, with some of Australia’s leading screenwriters attached to the program as mentors. Along with the author, three screenwriters will pitch adaptation proposals to a panel of screen industry judges at the upcoming 2016 Byron Writers Festival. Thanks to the generous support of Screen NSW, all three selected screenwriters will be paid a fee for their contribution and involvement in the program. Two Wolves by Tristan Bancks, Losing Kate by Kylie Kaden and Listen by Kate Veitch have been announced as the three novels selected for the program following an extensive selection process. All three novels were chosen for their potential for a screenwriter to develop a strong dramatic adaptation for the screen, with each novel having a large audience of readers. With the books selected, Screenworks is now looking for three screenwriters to each team up with one of the authors to put together the material required to pitch the author’s book to a panel of producers and broadcasters at the 2016 Byron Bay Writer’s Festival. In a three-day non-residential intensive workshop, the screenwriter/author teams will be mentored by one of the esteemed professional screenwriters consulting to the program, including Belinda Chayko (Miss Fisher’s Murder Mysteries, Old School), Charlie de Salis (Show Me the Magic, A Moment Passing) and Roger Monk (The Dr Blake Mysteries, Nowhere Boys). International television sales executive, Victoria Baldock will then work with all of the screenwriter/author teams to identify the key pitching points for their proposals and to develop their pitching skills. The three-day intensive will be held at SAE Creative Media Institute in Byron Bay in June to provide the participants time to prepare their pitch for the 2016 Byron Writers Festival being held 5 – 7 August. If the winning adaptation pitch is not optioned by one of the panelists at the Byron Writers Festival, Screenworks will include the winning pitch as part of a slate of projects that it takes to the Screen Producers Australia conference in November 2016 with the purpose of seeking market interest.